Q: Does my graphics card support ATI CrossFireX/nVidia SLI? A: In general, most standalone graphics cards support CrossFireX or SLI. Detailed information on whether or not the card supports it will be located on the packaging for the video card. Q: Will a graphics card with GDDR3/4/5 work with a DDR2 or DDR3 system? A: Yes, the graphics memory on the card is independent of the system RAM and they do not have to match in any way. Q: What is the difference between PCI and PCI-Express? A: PCI or Peripheral Component Interconnect was developed originally in 1993 and has since been revised; it provides sufficient bandwidth for basic devices however, graphics cards require more bandwidth to perform at full capacity, which is the primary purpose of PCI-Express. The peak performance of PCI would be 533MB/s, whereas the peak performance of PCI-Express would be 16GB/s or almost 32 times as fast. Q: Should the drivers always be kept up to date? A: To maximize performance and reliability the latest drivers should be regularly downloaded from the ATI or nVidia website, depending on the manufacturer. Q: What is the difference between AGP and PCI-Express? A: AGP, or Accelerated Graphics Port was developed originally in 1997 and underwent several revisions. It reached its maximum throughput and needed to be replaced with a higher-bandwidth expansion port to allow for faster graphics card. AGP has a peak performance of about 2GB/s, whereas the current peak performance of PCI-Express is 16GB/s, or around 8 times as fast. Q: What is the difference between PCI-Expres x1, x4, x8 and x16? A: PCI-Express x1 is for low-bandwidth expansion cards and allows for a bandwidth of about 1GB/s. The bandwidth increases with the number and allows for cards requiring more and more bandwidth. The first step is to evaluate the type of motherboard that you have in your current system. You could either remove the case and physically look at what slots on your motherboard or check the system’s user manual or manufacturer’s website for specifications. As outlined on our previous blog post on Graphics Cards, there are three basic types of video interfaces available: PCI, AGP or PCI-express. From this chart provided by Diamond Multimedia, you can see the difference in the configuration for each card type. Be sure to check what version of AGP or PCI-Express is compatible with your system. What will be the primary use of your display? Watching movies, gaming, photo editing? 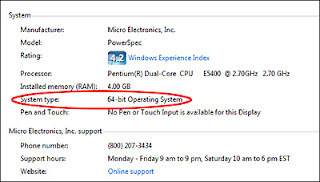 Depending on the function, you may need a higher-end graphics card to accommodate the demands on your computer’s video. If you are a gamer, you will need a performance video card that supports 3D rendering and HD. For photography or graphic arts, a video card with high resolution and better image quality is more important. The amount of video memory is also crucial to providing the best graphics output. Video cards are built with a variety of ports to connect to your display. First, check the available ports on the back of your display. Does it have VGA, S-Video, DVI or HDMI? For high quality video, it is better to use DVI or HDMI, because they provide higher quality digital output. VGA and S-Video are older, analog interfaces that have lower resolution capabilities. If you have an older PCI card with only DVI, but a display with an HDMI connection, there are adapters available to connect a HDMI cable to a DVI port. Diamond Multimedia provides an excellent video on installing a graphics card. Diamond Multimedia. How to Buy a Video Card/Graphics Card. There are three different interface standards for graphics cards: AGP, PCI or PCI-Express. AGP or Accelerated Graphics Port is twice as fast as PCI and has direct access to the processor bypassing the PCI bus. It is also capable of utilizing system memory to read textures through a technology known as GART (Graphics Address Mapping Table). GART sets aside areas of the main system memory as needed for storing textures. The video card then has access to those textures directly from system memory. PCI or Peripheral Component Interconnect is the original interface standard before AGP. This method allows peripherals to be connected to the motherboard by using the computer bus. In addition to graphics cards, other connection cards can be added or removed using the PCI expansion slots. Currently, PCI-Express or PCIe is the newest standard in graphics card technology and exceeds in performance beyond PCI or AGP. PCI-Express cards are available in four types: x1, x4, x8 and x16. They provide superior bandwidth capabilities allowing increased graphics processing with higher resolution and better 3D graphics rendering. PCIe is being adopted as the default form factor for a number of other hardware types such as network cards, wireless cards, modems, and sound cards. AGP and PCIe are not interchangeable. The index notch is in a different location on each slot. MCTSOL.com. Tech Center. What is PCI Express? There is another rogue anti-virus program called "Security Shield" that infects computers by using bogus security warnings in lure users into downloading the malware. This virus is one of a suite of known malware programs by Virus Doctor. 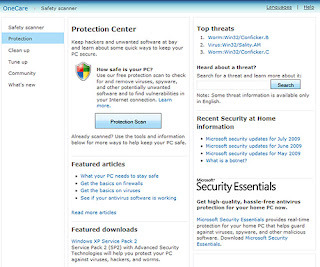 Security Shield or any other Virus Doctor freeware can cause a variety of issues including blocking the system’s ability to connect to the Internet and slow down other system processes. 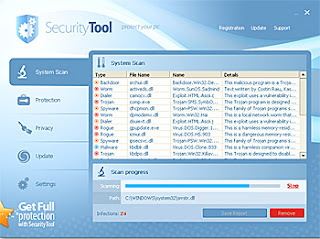 Only use established anti-virus program manufacturers to scan and remove malware from any computer. ESET NOD32, Symantec Norton Anti-Virus, McAfee Anti-Virus and Webroot are all industry-approved programs that will monitor and remove viruses from your system. If your system is infected with the Security Shield virus, there are solutions available from Symantec and Malwarebytes. 1. Download the latest Rapid Release definitions. 2. Reboot the system in Safe Mode. 3. Run Disk-Cleanup to remove temporary files. 4. Perform full system scan. Follow the instructions to remove any detected threats. 1. 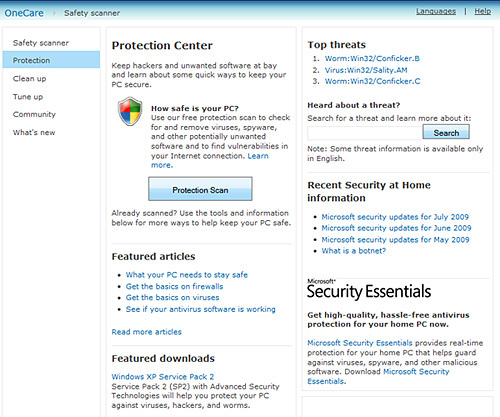 Download Malwarebytes program here. 2. Install the program "mbam-setup.exe". 3. Use the default settings during the setup process. Check "Update Malwarebytes" and "Launch Malwarebytes". 4. Once installation is complete, begin scanning the system. 5. When scanning is complete, review the Scanner report. Check any files that are marked at malware and click "Remove Selected". Wi-Fi or Wireless Fidelity is a wireless network connection used both in the home and for business purposes. All laptops and some desktops come equipped with wireless adapters to connect to Wi-Fi networks. There are two primary types of Wi-Fi on the market today, both of which function on the 2.4GHz wireless frequency. Wireless G, which has a maximum speed of 54Mbps and a maximum range of up to 100 feet outdoors. Indoors, the signal range can be reduced to less than 30 feet depending on the number of walls between the computer and the wireless router. Wireless N, which has a maximum speed of 300Mbps and a maximum range of up to 300 feet outdoors. Indoors, the signal range can be reduced to less than 50 feet depending on the number of walls between the computer and the wireless router. Wireless Security prevents unauthorized access to wireless networks. The wireless signal in a home is accessible outside the walls of the residence and if a malicious user uses the network for illegal activities, the owner and operator of the network can be held accountable. There are two primary types of wireless security, WPA and WEP. Both security measures use security keys or encryption keys to protect the network. WEP is compatible with almost all devices, but the security can be broken by an experienced hacker given time. WEP also uses a longer security key that is typically random letters and numbers. WPA and WPA2 is slightly less compatible but is far more secure, also uses a shorter, easier to remember security key. Most wireless devices made in the last five years support WPA and WPA2. For Day 2 of Networking 101, we are going to review some basic networking terminology. This information can be useful when configuring your home network and choosing the right hardware. A networking standard established by the IEEE for LAN protocols. There are several levels of 802.11 standard: a, b, g, and n. Each represents a different bandwidth, frequency, data rate and network range. 802.11n is the current standard. Refers to the transmission capacity of a network or network device. Wide band of frequencies for transmitting data. For Internet service, broadband describes the type of service available such as cable or DSL. Broadband cable supports data rates up to 30Mbsp, but DSL is normally limited to only 10Mbps. DHCP or Dynamic Host Configuration Protocol is an automatic configuration protocol used for configuration on Internet Protocol (or IP) Networks. This can be a local area network using a router with DHCP, or when connecting to the internet. DHCP allows a computer to be configured automatically, eliminating the need for human intervention when connecting to a network. DHCP works by keeping a central database and assigning numbered addresses called IP Addresses to computers on the network in order to relay information to and from them, which prevents computers from ending up with the same IP Address, accidentally or otherwise. Without a DHCP server (behind a network switch, for example) each computer must have its IP address configured manually. Digital Subscriber Line. Type of broadband connection that uses a phone-line to connect to the Internet. Typically, DSL provides only 10Mbps which is slower than cable broadband service. The process of securing data by converting it into cyphertext so it cannot be easily read while in transmission. This process is based on a key system in which the sender shares a translation key with the receiver to decrypt the data. A network protocol developed by IEEE that describes how data is placed on and retrieved from a networking device. Ethernet is commonly used for LAN (local area networks). A device that connects two different networks to one another. Example: the Internet. A computer that is connected to a network that provides information and resources. A 32-bit number that identifies a computer or device on a network. Local Area Network. Describes the computers and networking hardware within a single home or office. NAT or Network Address Translation is the name of a process for modifying network addresses information in an IP (Internet Protocol) packet. NAT is done by a router, and it translates incoming packets from the Internet in to local network packets so that they can be transferred to the correct location – one of the computers connected to the router. NAT is typically used by a router to allow multiple host computers to connect to the Internet using a single public IP address, acting as a gateway. PPPoE is a connection protocol that is used mainly by Internet Service Providers (ISPs) to give access to Digital Subscriber Line (DSL) High speed internet service. It increases the capability of the Point-to-Point Protocol (PPP) by allowing a connection over Ethernet. PPPoE also uses the same standards of authentication, encryption, and compression as PPP. PPPoE encapsulates PPP frames inside Ethernet frames to transmit data from the Internet to a DSL modem, which is then translated into data that your computer understands, when using the provided software. Simple Mail Transfer Protocol. This is a standard email protocol for transmitting and receiving email. Part of an IP Address that designates the size of the network. When computers are grouped together into a subnet, each system is identified with a common IP address to determine their location. The default value is normally 255.255.255.0. Transmission Control Protocol/Internet Protocol. This is basic communication method for the Internet. TCP/IP requires that the recipient acknowledge the data sent. This article shows how to create the recovery media for a Gateway-brand computer. 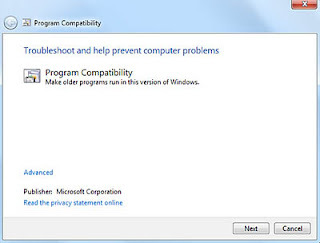 If your computer experiences problems that are not recoverable by other methods, you may need to reinstall the Windows operating system and factory-loaded software and drivers. To reinstall using discs, you must create the set of recovery discs before you have a problem. To ensure that you have recovery options available, you should create a set of recovery discs as soon as possible. 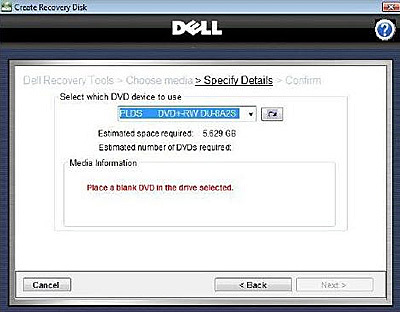 If you are creating recovery discs, ensure that you have several blank DVD±R discs. Note that you cannot use DVD±RW or DVD±R Double-Layer discs to create the recovery media. Close all open applications on the PC. You will not be able to use the computer while it is creating the recovery media. 1. 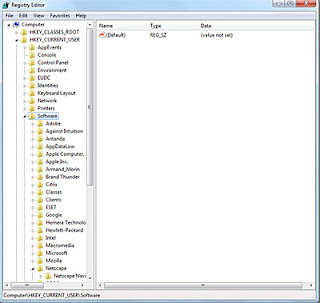 Click on Start » All Programs » Gateway, then click on Gateway Recovery Management. This will open Gateway Recovery Management. 2. Choose the recovery media you wish to create. 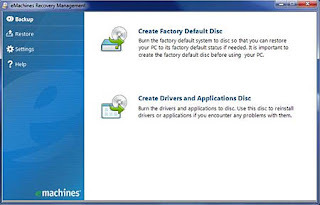 - Create factory default disc. 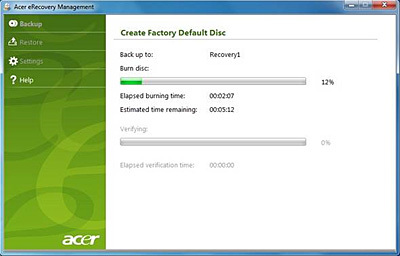 This creates recovery discs for the hard drive's entire original contents, including Windows and all factory-loaded software and drivers. - Create driver and application backup disc. 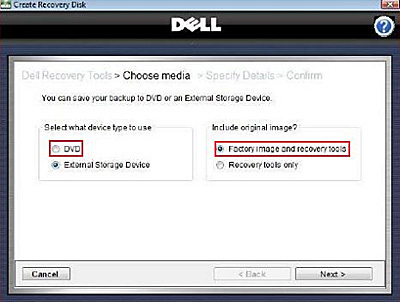 This option creates recovery discs for only the factory-loaded software and drivers. Note: It is recommended that you create each type of disk as soon as possible. 3. The Create Backup Disc dialog box opens. 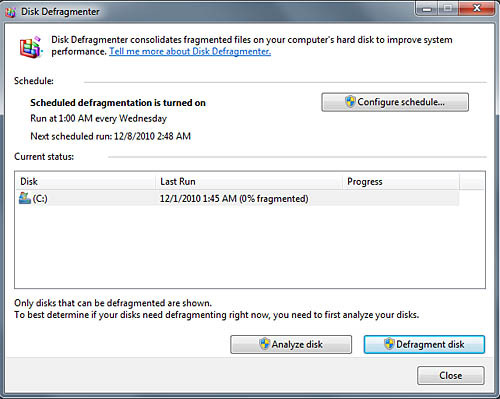 This dialog box tells you the number of blank, recordable discs you will need to complete the recovery. Be sure to have the required number of blank discs ready before going on. 4. Insert a blank disc into the drive indicated in the Burn to list, then click Next. The first disc begins recording, and you can watch its progress on the screen. When the disc finishes recording, the drive ejects it. 5. Remove the disc from the drive and mark it with a permanent marker. Note: Be sure to label each disc. We recommend that you pick a unique name for each disc such as Recovery Disc 1 of 2 or Apps/Drivers Recovery disc. If multiple discs are required, insert a new disc when prompted, then click OK. Continue recording discs until the process is complete. 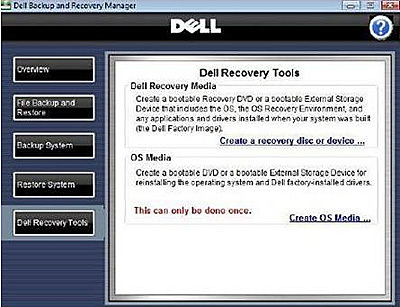 This article shows you how to create recovery media for Dell-brand computers. 1. Click Start. 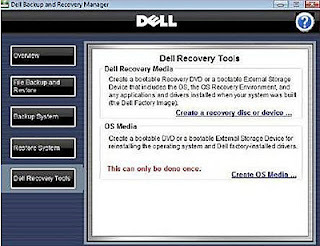 In the Search Programs and Files box located just above the Start button, type "Dell Backup and Recovery Manager" (without the quotes) and press the Enter key. 2. On the left side of the window that opens, click Dell Recovery Tools. 3. 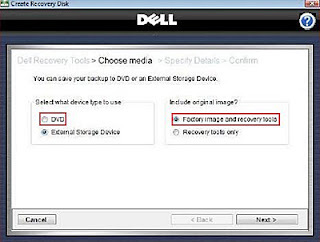 Click Create a Recovery Disc or Device. 4. Select DVD and Factory Image and Recovery Tools and click Next. 5. Select your optical drive and insert a DVD±R and click Next. The recovery files will then be written to disc. You may be asked to insert an additional disc after the first one. Follow the on-screen instructions until the recording is complete. Note: Be sure to label each disc. We recommend that you pick a unique name for each disc such as Recovery Disc 1, 2, 3..etc. 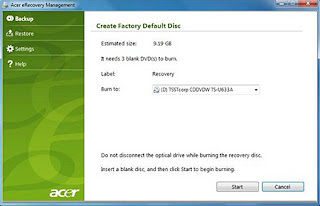 This guide shows how to create the recovery media for an Acer-brand computer. 1. Click on Start and then All Programs. 2. Click on the Acer folder and then on the Acer Recovery Management. This will launch the Acer Recovery Management application. 3. Click on Create Factory Default Disc. The Create Backup Disc dialog box will appear and provide information on the number of blank media that is needed for the recovery media. 4. 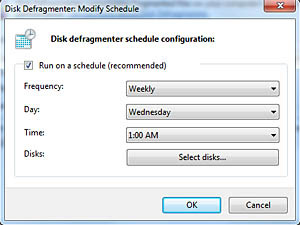 Insert a blank disc into the drive indicated in the Burn To list and click Start. 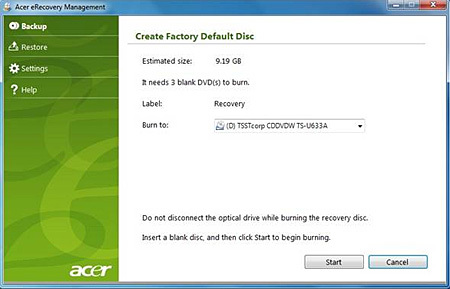 The Acer Recovery Management application will be in the process of creating the recovery media. 5. The disc will be ejected whenever it has completed burning, if multiple discs are required insert a new disc when prompted and click Ok.
A new malware tool called "ThinkPoint" has been affecting both Windows 7 and Windows XP systems. This "free" software poses as a virus scanner but actually disables your Windows taskbar and desktop icons. ThinkPoint is also known as "hotfix.exe". 1. 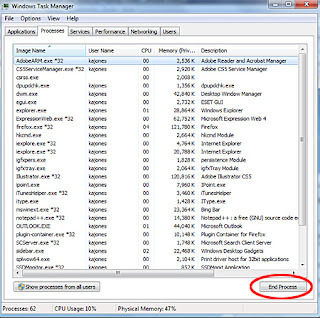 Press CRL + ALT + DEL to launch the Windows Task Manager. 2. Click on the Processes tab. 3. Find the process called "hotfit.exe". 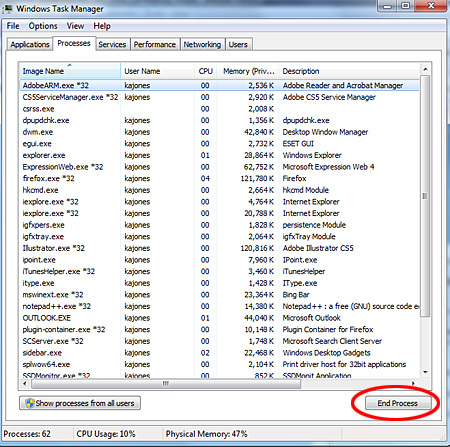 Select the program and click End Process. Microsoft Support. How to remove ThinkPoint from your computer. 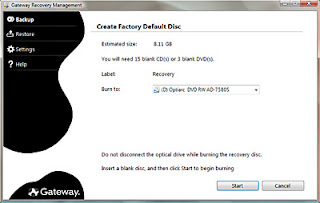 If you are creating recovery discs, ensure that you have several blank DVD±R discs. Note that you cannot use DVD±RW or DVD±R DL discs to create the recovery media. Close all open applications. You will not be able to use the computer while it is creating the recovery media. 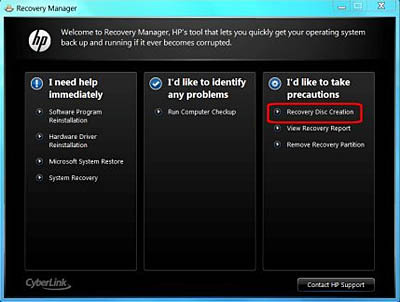 You can use HP Recovery Manager to create a personal set of recovery discs. When you select the Recovery disc creation process, the HP Recovery Manager examines the PC and determines how many blank DVD discs will be required. Depending on the model, you will need up to three DVD-R or DVD+R discs. The creation process can take up to an hour or more. Do not interrupt the creation process. Create a set of operating system recovery discs by following the steps below. 1. Click Start and type "recovery" without the quotes in the search field. 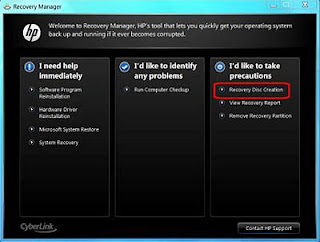 Select Recovery Manager from the list to open the HP Recovery Manager window. Alternatively you can click Start , All Programs , Recovery Manager , and then Recovery Manager. 2. When the Recovery Manager application opens, click Recovery Disc Creation. The computer will restart and launch the Recovery Manager again. 3. Select Recovery Disc Creation again to start the process. 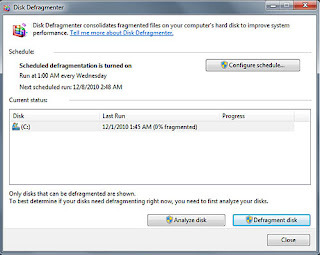 The program will appear to pause for about ten minutes while it examines the computer and calculates how many DVD-R or DVD+R discs are needed. Do not interrupt this process. The discs must be either DVD-R, or DVD+R. Do not use DVD-R/W read/write type discs because the creation process will fail. 4. When prompted, put a blank disc in the DVD drive and follow the on-screen instructions to create the recovery discs. 5. After all of the recovery discs are created, label the discs and store them in a safe place. HP Support. Creating the Recovery Disc Set in Windows 7. HP Support. Creating the Recovery Disc Set in Windows XP. This week, we are going to focus on creating recovery media for different systems. 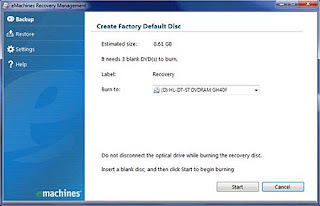 For Day 1, this article shows you how to make backup discs for eMachine-brand desktops and notebooks. 2. Click on the eMachines folder and then on the eMachines Recovery Management. This will launch the eMachines Recovery Management application. 4. 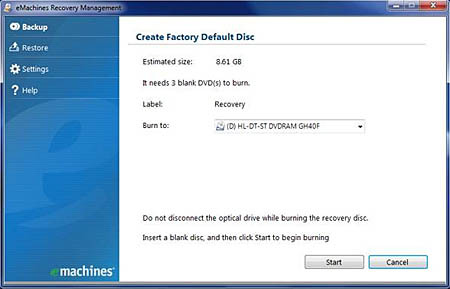 Insert a blank disc into the drive indicated in the Burn To list and click Start. The eMachines Recovery Management application will be in the process of creating the recovery media. Microsoft. Windows 7 Compatibility Center. Microsoft Support. 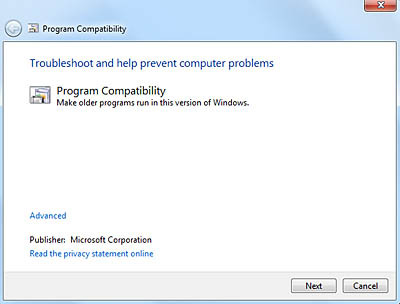 Help with Windows 7 compatibility problems. Microsoft Support. 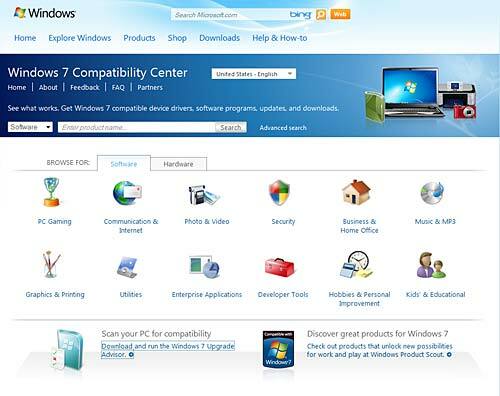 Windows 7 Upgrade Advisor.